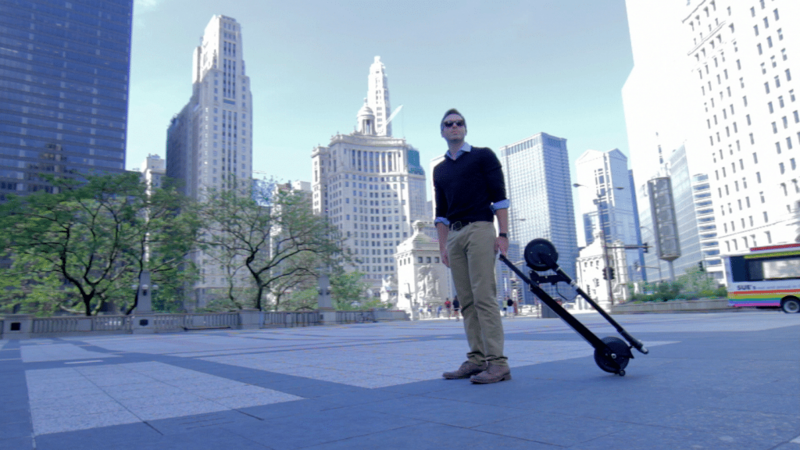 The Glion Adult Electric Dolly-Fold Scooter is a simple, affordable way to glide through the parts of your commute you used to hike, from the distant parking lot or mass transit station directly to your door. With a top speed of 15 mph and a range of 15 miles per charge it’s a durable, practical tool to cut your commuting time and effort. Why should kids have all the fun? 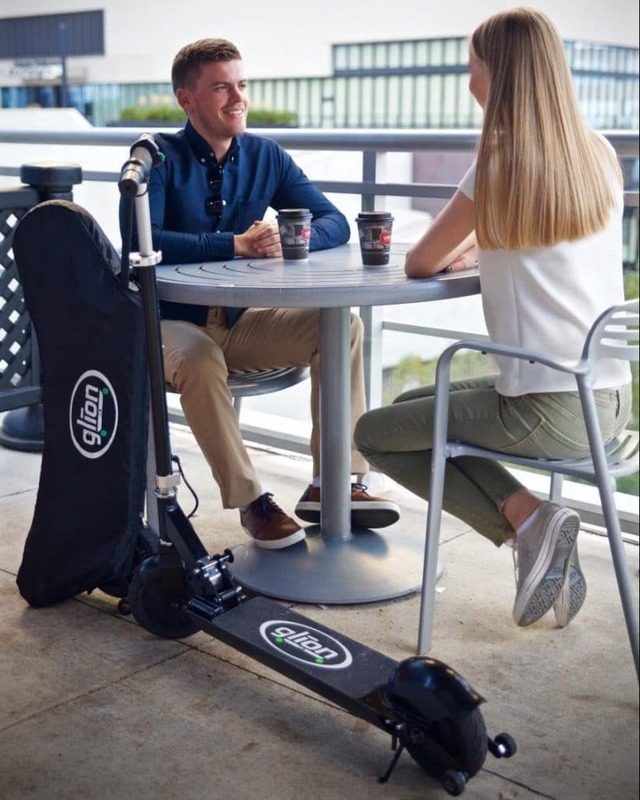 The Glion Adult Electric Dolly-Fold Scooter is like gliding down an endless gentle hill, but despite the exhilaration, it’s no toy — it’s made for full-sized adults and daily use. The Glion is an ideal transportation tool for students, urban residents, outlying parking lots, and for running errands, sightseeing and just getting around your neighborhood. 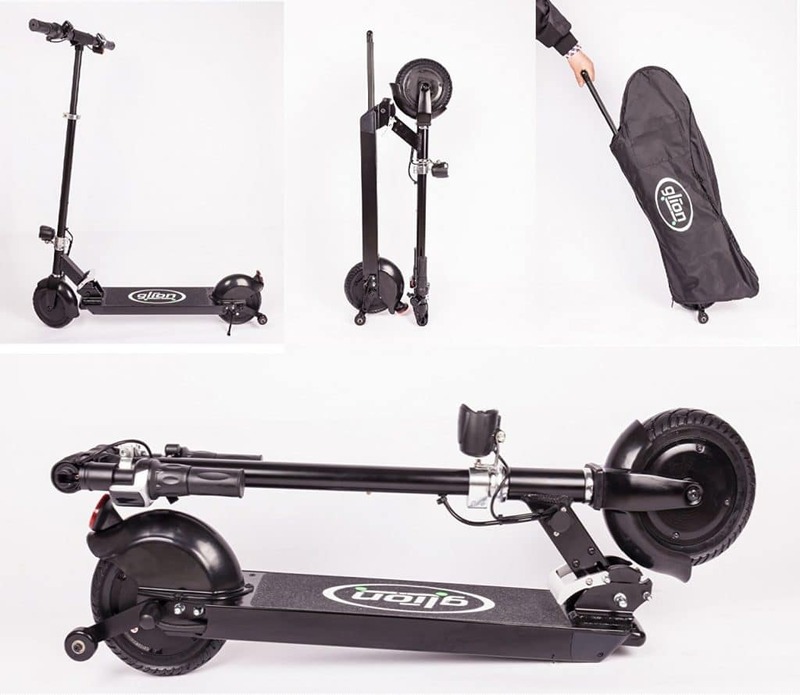 When you arrive, simply fold your Glion Adult Electric Dolly-Fold Scooter in seconds, roll it behind you like a suitcase, and store it standing up in a closet or behind a door. Fully charged in 3.5 hours it’s always ready to unfold, securely snap into position and go for a spin. 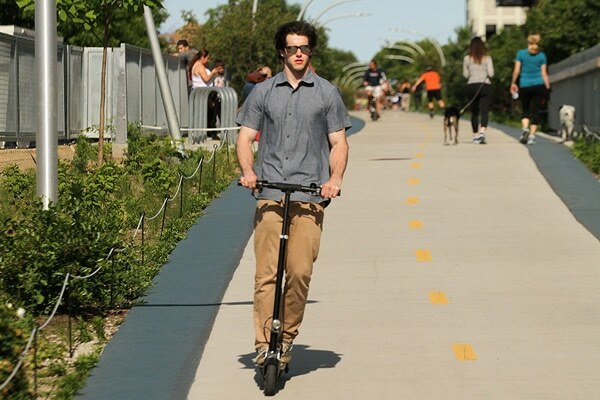 Just because electric standup scooters are fun doesn’t mean they can’t also be a useful commuting tool or an easy way to dramatically increase mobility in urban settings without resorting to a car or bike. 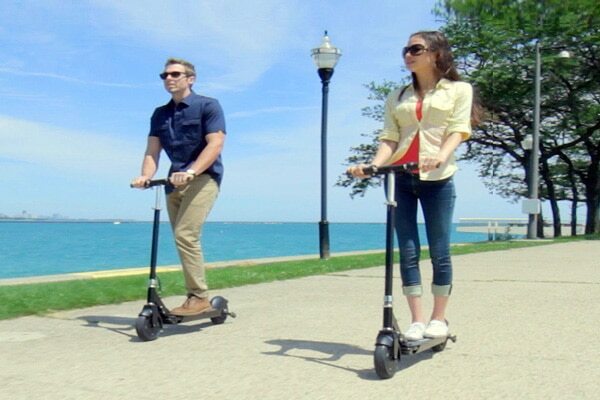 The Glion Adult Li-Ion Battery, Dolly-Fold Scooter is simple, reliable, clean, quiet and built to last. It gets its remarkable power from a 36v 7.8ah rechargeable lithium ion battery and a potent 250-watt brushless hub motor located in the rear wheel. Without chains or gears, it quietly delivers enough boost to move the average adult at up to 15 miles an hour (faster than a runner at full sprint) with a range of up to 15 miles on a full charge. "Just wanted to let you know that I’ve been looking at e scooters for months now while riding public rideshare scooters. I ultimately ordered a scooter from you all yesterday. Half the decision was based on how it folds up, but the other half was based on the fact that every review talks about how great your customer service is. I called before buying and experienced it first hand. Being able to talk to a person as well as order replacement parts sealed the deal." "This company’s customer service has been so great compared to other scooter companies I’ve bought from. The service provided here (and lack of at the other scooter brand) has brought me back to this company. I’m looking forward to having two functioning Glion scooters". 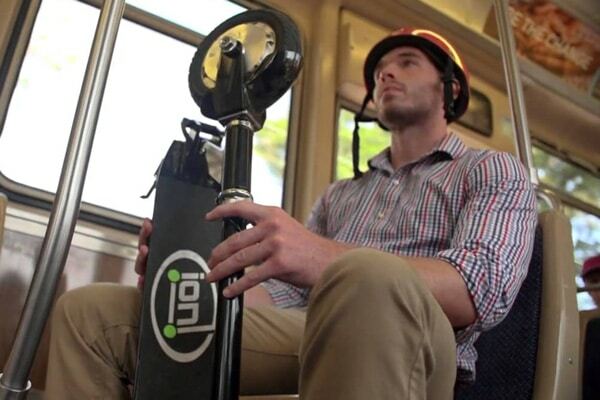 Clean, quiet, lithium-ion battery-powered motor, can travel 500 miles on $1 of electricity. Lightweight and practical, folds in an instant into a suitcase-style dolly.